When applying for a nonimmigrant visa, you are required to upload a digital photograph taken within the last six months as part of completing and submitting the Form DS-160. 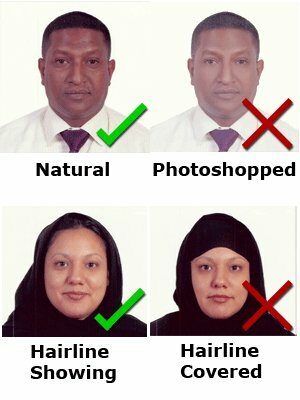 You should also bring a copy of your photograph to the U.S. Embassy on the day of your interview. You will also be fingerprinted when you arrive for your interview at the U.S. Embassy. Your photo must be square-shaped, meaning the photo's height must be the same as its width. 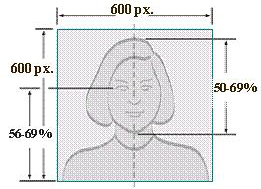 The minimum dimensions for your photo are 600 pixels x 600 pixels (height x width). The maximum dimensions are 1200 pixels x 1200 pixels (height x width). The printed photo should measure 2x2 inches (50x50 mm).